The texture is really rich and creamy and blends very easily into the skin. Personally i love the thickness of its a bit thicker than a tinted moisturiser giving you light to medium coverage. I love that., because it feels very light yet gives you some great coverage. I've been wearing it for a week now and it has totally replaced my foundation. It's the first BB cream i've ever used and i must say that i'm highly impressed. Also it's currently only £7.99 (12,95€) at Superdrug. 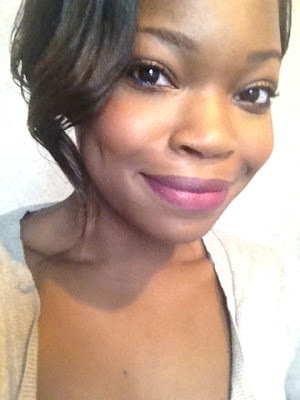 Applied Mac's Blotting Powder on top and it held all day! 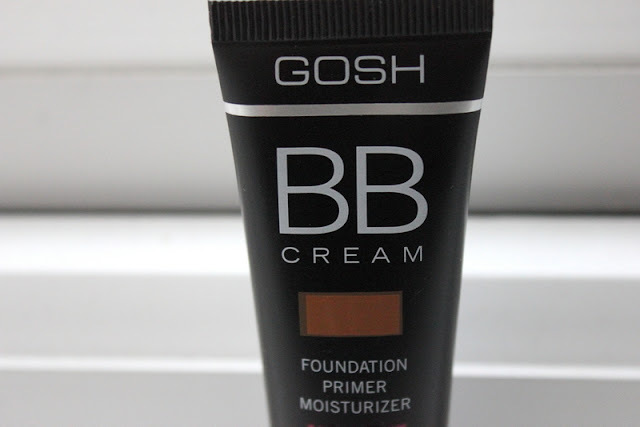 Hallo meine Lieben, falls ihr in England seid oder access to GOSH Cosmetics habt, mochte ich diese BB cream empfehlen. Es ist so schwer den perfekten Ton in Sachen BB creme zu finden, denn meistens gehen die Nuancen nur bis dunkel (Olive). Die BB creme von GOSH ist ein All- In- One ( Tinted Moisturiser und Primer), und kommt in 5 Nuancen. Espresso ist hier das dunkelste. Lange Rede, kurzer Sinn, es hält stundenlang, ist überraschend sehr deckend und mach die Haut sehr geschmeidig( muss wohl der Primer sein). Einfach nur empfehlenswert! You are so stunning. I adore you and your blog. Great Inspo.